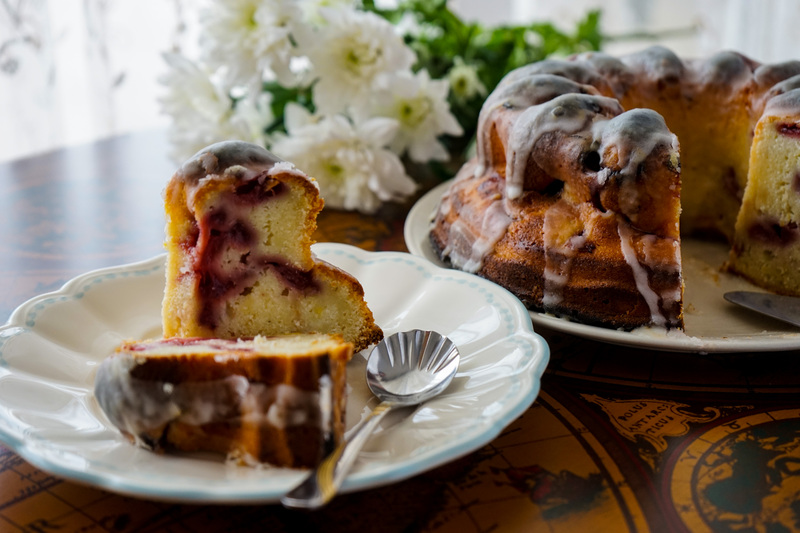 I never used my bundt cake pan since I’ve received it for my birthday from one of my great friends last November and when I’ve found this amazing recipe on aspicyperspective blog I just had to try it. 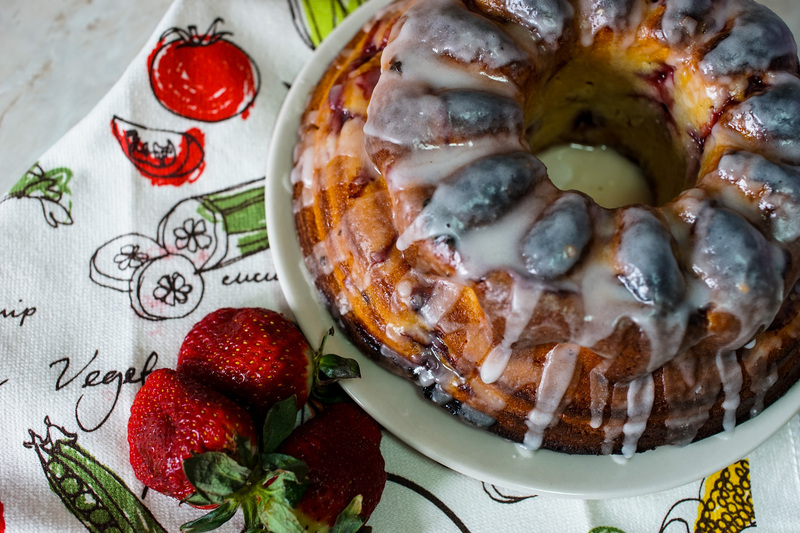 A simple strawberry yogurt bundt cake sounded perfect to me as the Spring time is here and this is a fresh cake filled with delicious strawberries and a fresh lemony flavor. This cake is amazing, soft with a lot of strawberries inside, lemon flavored, definitely one of the best cakes ever. I have always preferred chocolate desserts but this cake is as good as a chocolate one. My friends that are in love with my chocolate cake recipe will not agree with me on this :). I’ve made a lemon glaze topping , it’s a little more sweeter but for me was perfect. You can sprinkle only some powdered sugar on top if you want to keep it a little simpler and not that sweet. Feel free to try both toppings and see which one you like best. Also, as the strawberries are easier to find from now one you can also try one of my other recipes like : No bake white chocolate strawberry mouse cake or the amazing Strawberry mouse . Both recipes are very easy to make and do not require any baking time. Preheat oven to 190 degrees . Grease and flour a 25 cm pan. Put aside 2 spoons of flour for latter. Sift together the rest of the flour, baking soda and salt; set aside until ready to use. Mix in the lemon zest and set aside. With an electric mixer, cream together the butter and sugar until light and fluffy. Beat in the eggs one at a time, then stir in 1 tablespoon lemon juice and the vanilla essence. Alternate beating in the flour mixture and the yogurt, mixing just until incorporated. Pour the batter into the Bundt pan. Place in the oven and reduce the temperature to 160 degrees. Bake for 60 minutes, or until a toothpick inserted into the center of the cake comes out clean. Allow to cool at least 20 minutes in the pan, then turn out onto a wire rack and cool completely. Once cooled whisk together the remaining 2 tablespoons of lemon juice and the powdered sugar. Drizzle over the top of the cake. thank you so much for the reblog 🙂 !!! 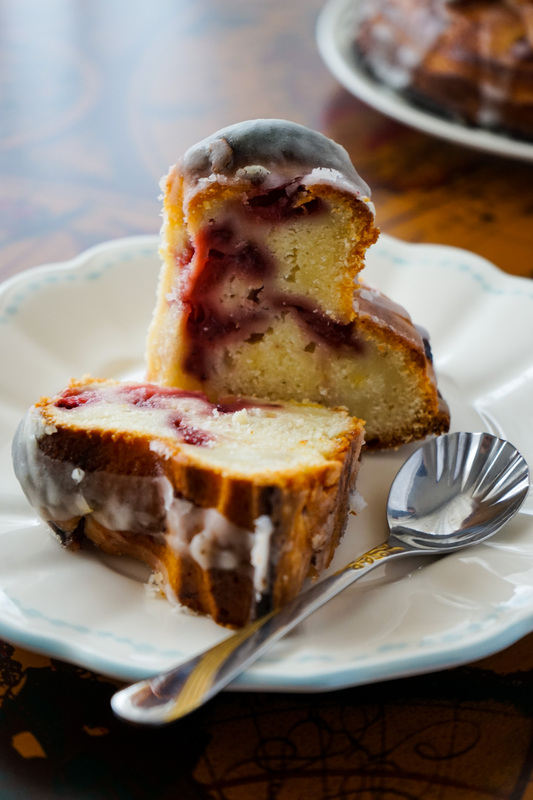 A very easy to follow bundt cake recipe!